Catching Up With Three-Time Super Bowl Champion Matt Chatham | NFL News, as it happens, when it happens. Your one stop shop. 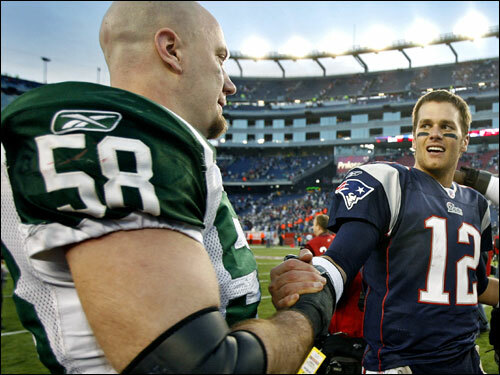 On Saturday afternoon, I had the opportunity to speak with former New England Patriots and New York Jets linebacker Matt Chatham. 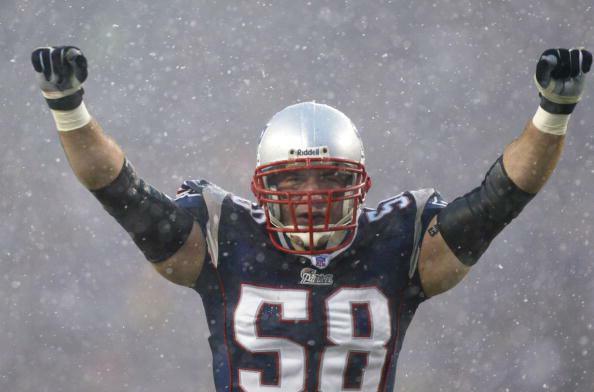 He was apart of three Super Bowl winning teams in his time with the Patriots between the years of 2000 through 2005. After that he spent three seasons with the Jets. Since his retirement from the game, Chatham has been in the local New England and national media, along with founding his own football website, “Football By Football” which has a unique perspective of showing fans former players points of view. Here are some of the highlights from our conversation. When most people talk to former players, they usually ask what have you been up to? But for you, you’ve been around in the media, so what is it like being on the other side of things? Well, theres the temptation to think you could be out there, you could help. I think in my case, guys like me where I got banged up at the end of my career, I was released with a neck injury, my feet are trash, now i’m how ever many years removed from that, and it’s pretty much easier to understand your place as a fan and a reporter. What was your inspiration for starting your own website? Well, the first move I made when I left the NFL in 2009 was to go back to school here at Babson College in Wellesly, I had the idea of starting something on my own. I got involved in some other business things immediately after my career, but after a couple years of doing that I got lured right back into football. It’s kind of what you do, it’s what you know. Once I got involved I started doing the Chatter Report with the Boston Herald, and that was great and I got back into the waters of writing, which is what I studied in my undergrad so I knew I wanted to write at some capacity. Things came together. I wanted to write, I wanted to still be around football, and I wanted to do my own thing, thats how I am with a lot of aspects of life. I started contacting those former players and they bought in when they realized that the player perspective is barely out there in print. Your a part of all different aspects of the media whether it is writing, commentating, and color analysis. What is you favorite part of the media? Thats an interesting question cause if we had this conversation three or four years ago I would’ve said writing. I would just rather sit in solitude and study the crap out of game tape and give points of view that people who never played the game wouldn’t have the experience to notice. I really enjoyed that part. I really enjoy doing games now for ESPN, I did Syracuse a few weeks ago, and I do a lot of local stuff, UConn, Umass, and Boston College throughout the rest of the season. I like that view, you kind of get the chance to do the same thing, you gotta do it in real time so your not gonna be as accurate, so I enjoy doing that part. Let’s talk about your playing career here, you don’t see dynasties like the one you were a part of with the Patriots too often in the salary cap era. What do you think made you guys click so well? 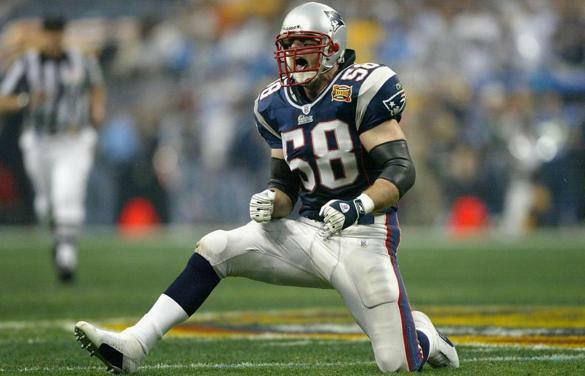 It’s interesting we are having this conversation now, because I just did a piece on NESN the other night talking about all the former Patriots eligible for the Hall of Fame, and chances are, none of them get in. The groups that I played with, the roster was just stock full of super talented guys that bought into the team system. Most of those guys from the Harrison, to Milloy, McGinest, Bruschi, and Ty Law we played a heavy week to week scheme where no one player stood out and compiled a bunch of stats, that’s just not the way we played. The best part of that group was how talented they were, but how selfless they were as well. Thats how we got the rings we got, and you just can’t take that stuff away. We know that the NFL is a business, and after 2005 you joined the New York Jets. What was it like playing on the other side of the rivalry? Going down there for a few years it was definitely different as it was for all the former Patriots that went down there as well. It’s a pretty heated rivalry for fans and they look at it from that perspective, but when you go back and look the list is long of the players that went from one place to the other. Otis Smith, Larry Izzo, Bobby Hamilton, Anthony Pleasant, Bryan Cox, I could go on and on. I went down there with Eric Mangini which made it different. For me I was wearing green that was different, I was playing in a different building, living in a different city. The organization had a similar feel because Eric Mangini was trying to recreate the Patriot system. He wasn’t successful, but the structure was almost identical. Just the way we did things was almost the same, so just for me it wasn’t that big of a change. You were on the Jets during the infamous spy gate game in 2007. Everyone hears stuff from the Patriots perspective from that game, what was it like on the other side lines during that game? Well, I was on PUP to start that season I had injured my ankle so I was just in street clothes on the sidelines. It was chaotic. I was on the sideline staring across. To put it on a scale on how much it mattered or how much it cared, I was like, “oh thats weird.” I didn’t know the rule, I guess you couldn’t just do it right there. So yes, it was a stressful week. The real reason why it escalated and why it was such as story was because the two security units got in a pretty heavy argument outside the locker rooms at the Meadow Lands. It became more than it should have. The brand is pretty stupid. Spy gate? They weren’t really spying. You can stand there with a pen and pencil and do the same thing. So to see the way league handled it the way they did, shows you how much they have it out for the team. You’ve been one of the more vocal players, along with Tedy Brushchi and Rodney Harrision, other guys in the media from that era, defending the team when allegations come down. How does it make you feel when people make these assumptions that the championships you guys worked so hard for are tainted? I think what happens, this is sort of all walks of life. You know when some guy says, “Twenty-years ago in high school if coach played me and we would’ve won.” it’s just an excuse, and it’s sad because people who lost are falling into the trap and making the excuse. It’s like no man, you lost. We prepared more and performed better than you did. Nothing that the team did was illegal in any way, except the taping thing that didn’t really matter. We are past that point now to where you can change someone’s mind, you just have to deal with it. Final question here. What was your favorite moment as a professional football player? I mean I’m lucky I got to play in three Super Bowls. You remember that elation of when the clock hits zero, and they were all different. The Rams with the kick going through is something I’ll never feel again for the rest if my life. The second one I made the final tackle on the kick return with Steve Smith and Rod Smart, so that time I felt the elation holding the guy to the ground. The third one we were more able to enjoy it as the clock ran out. It’s not a feeling you can really describe, you kind of just have to experience it.